In the documents obtained by Business Insider, Apple explains the tests each of its drivers must pass before hitting the road. 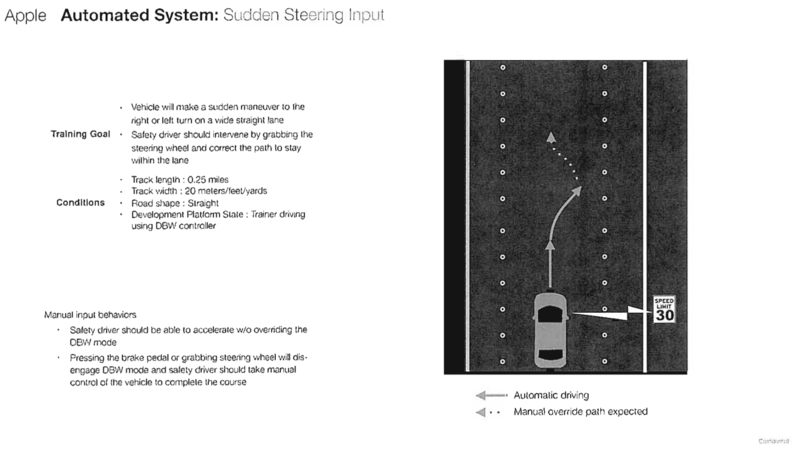 Details of Apple’s ‘Sudden Input’ steering test. There are seven tests total. Each driver gets two practice runs and three trials to pass each test on a private course. Once a driver passes all seven, they can finally hit public streets in the self-driving car. 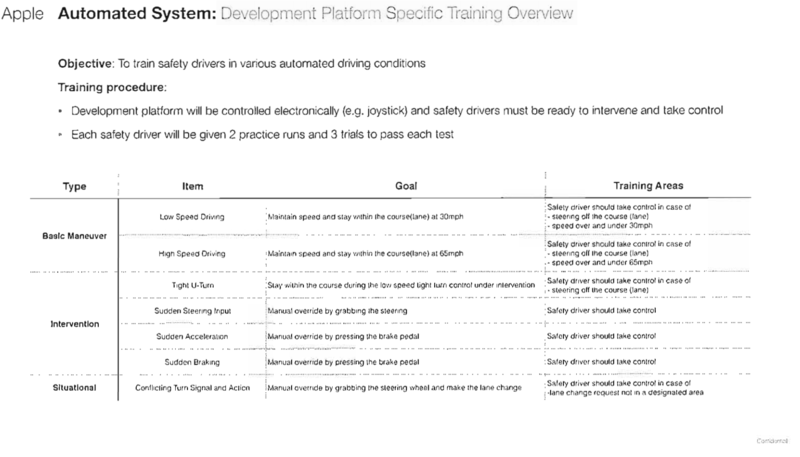 The training packet shows that Apple is using a Logitech wheel and pedals for the self-driving mode. Apple currently has six employees permitted to drive, most of whom have Ph.D.s and specialize in machine learning. 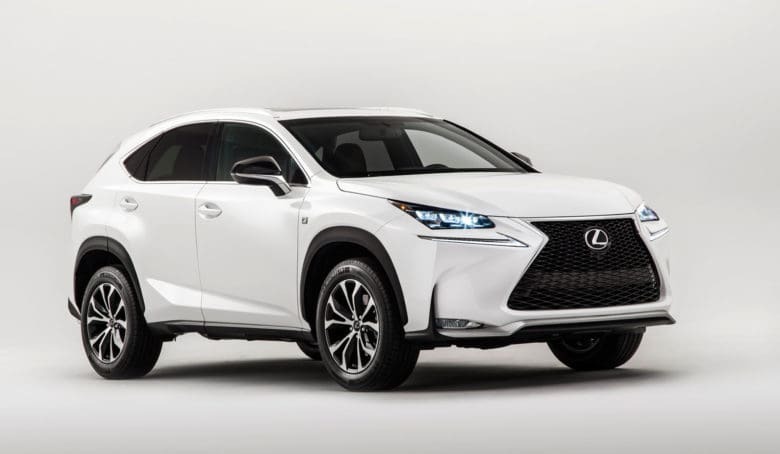 Before they can hit the streets, here are the seven tests drivers need to complete: low-speed driving, high-speed driving, tight U-turn, sudden steering input, sudden acceleration, sudden braking and conflicting turn signal and action. The list of Apple’s driving tests.